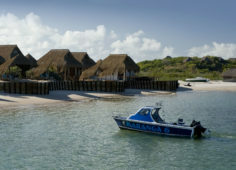 Discover Dugong Beach Lodge in the spectacular Vilanculos Coastal Wildlife Sanctuary on the coast of Mozambique. 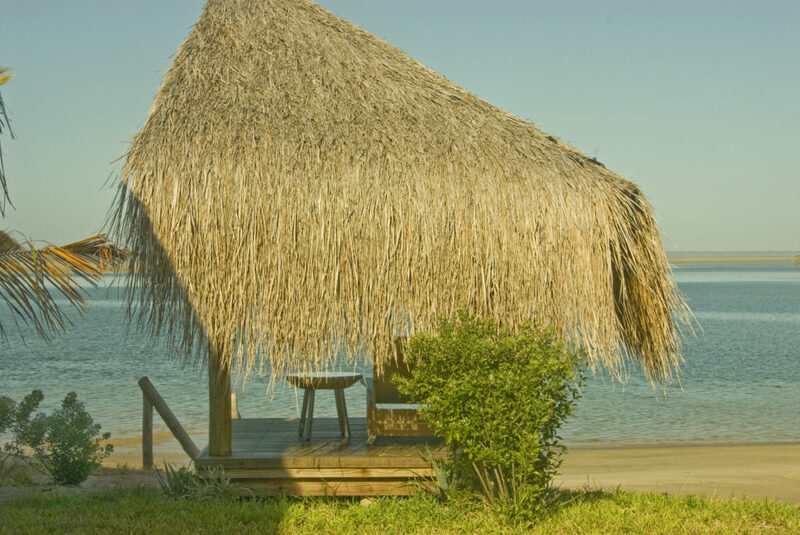 Named after the rare sea cow, Dugong Beach Lodge is a beach and wilderness paradise where not only Dugongs but also dolphins, Leather back turtles and Manta rays can be viewed. Photograph spectacular flocks of flamingos and pelicans. Enjoy select villas on the beach with ocean views. Dine under the gazebo at night at the end of the boardwalk jetty. 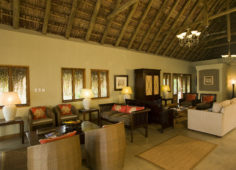 Dugong Beach Lodge is situated on the coast of Mozambique and combines two biospheres providing a unique wilderness and beach experience. Complemented by 14 luxury bedrooms with large bathrooms and private decks, Dugong is indeed an oasis. Experience a delightful picnic on a deserted island, enjoy leisurely walks on a perfect white-sand beach with translucent waters, marvel at the spectacular vistas at World’s View or sip cocktails in the interflowing pool with an island-style bar offering spectacular views of the ocean. Whether you dive, fish, sail or simply enjoy barefoot luxury, Dugong embraces all manner of island-style relaxation. Named after the rare sea cow, Dugong Beach Lodge is found in the spectacular Vilanculos Coastal Wildlife Sanctuary on the coast of Mozambique. 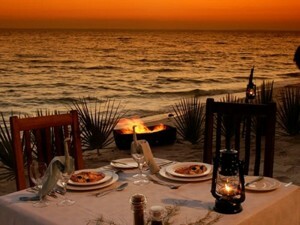 For a Mozambique Holiday Package with a difference, book accommodation at this beach and wilderness paradise. Dugong Lodge is right on the beach iffering 12 elegant two bedroom villas with outdoor showers, private decks with day beds and air-conditioning. Private walkways lead directly to the beach. Two chic chalets cater for families with inter-leading rooms and plunge pools. 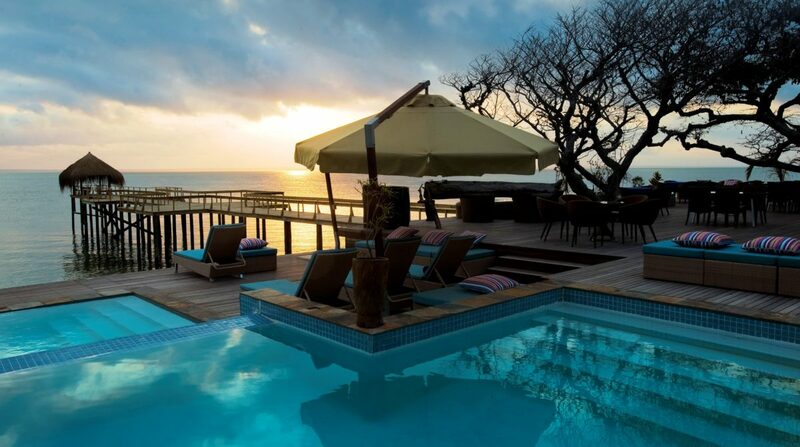 Dugong Lodge boasts an interflowing pool with an island-style bar and views of the ocean. A tasteful lounge offers TV monitor and DVD player while the restaurant specialises in fresh seafood and local Portuguese cuisine. Sun downers or private dinners are popular under the gazebo at the end of the boardwalk jetty. A marine sports centre sorts out individual water sports needs: diving, snorkelling, kayaking, fishing and traditional dhow cruises. 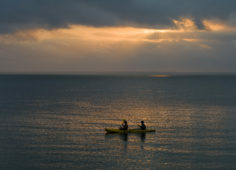 Adventure, Beach / Coastal, Birding, Fishing, Hiking, Leisure, Nature, Relaxation, Sports, Watersports, Wildlife, And more. Stay longer at Dugong Beach Lodge in Vilanculos, Mozambique with one night free on us – a delightful beach destination offering sunset cruises up the coast or exciting snorkelling excursions. Enjoy being part of the Vilanculos Coastal Wildlife Sanctuary stretching 30 000ha across diverse sea, wetland and wilderness habitats. Take an island excursion to Bangwe and Magaruque to see the dolphins and just be a part of beautiful nature. Luxury villas right on the beach.